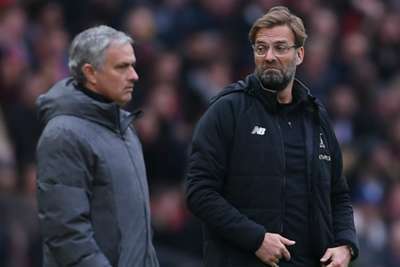 Liverpool boss Jurgen Klopp feels for Jose Mourinho but said the sacked manager had to "take the consequences" for what happened at Manchester United. While sympathetic towards Mourinho, Klopp said the 55-year-old needed to accept responsibility for United's struggles. "He wanted to be successful at United and he was, but then it didn't work out in the way everybody wanted it to," he told UK newspapers. "Then you have to take the consequences. That's how it is in our job. I always said it. It's the same for me and if the club thinks there is someone who can do it better, then they have to change. "Today that's how it is. There's no looking at how we played in the last game; if they think there is someone who can do it better, change it now. "In our jobs, that can be very expensive for the clubs. That is actually the only thing that saves our lives sometimes, but that's the situation." "I have to say on our level, and it's not that I don't feel for him or whatever, I know it's difficult to get as a person, but if a manager got the sack in the Championship or in League One or League Two then that's a bad moment because you don't know if they will get another job," he said. "If Jose wants to have another job, he has it in two days. That's really easy. We are talking about someone at a really high level."